Intel's Broadwell-E sets a new standard with its 10 cores' worth of horsepower. It'd better be fast, for the price you'll pay. ASRock, the honey badger of motherboard makers, flagrantly outed Intel’s most anticipated enthusiast chip of the year: a 10-core Core i7 CPU. Sure, we’ve seen dribs and drabs of leaks for months, including Intel’s own accidental disclosure of the Core i7-6950X last week, but no vendors had confirmed the actual core count until now. “The most unmissable part of Intel Broadwell-E is the flagship Core i7-6950X, which will be the first deca-core processor for the commercial market,” ASRock said Tuesday in a press release on its website. And yeah, there’s more—ASRock went on to confirm the rest of the lineup. ”While this new CPU boasts a compelling 10-cores-and-20-threads architecture, users require a BIOS update for their motherboards to handle it; this update applies to the rest of the Broadwell-E gang, including i7-6900K, i7-6850K, and i7-6800K as well,” the press release said. ASRock didn’t spell out the specs of the others, but they’re expected to be 8-core, 6-core, and 6-core, respectively. ASRock just confirmed that the upcoming Core i7 will have 10 cores. One can’t help but wonder if all the leaks are somehow condoned by Intel to help stoke the hype-train engine. I asked Intel to comment on ASRock’s confirmation and was given the boilerplate response that the company does not comment on unannounced product. Accidentilaly on purpose? This is the Intel support site listing for the unannounced Core-17 6950X processor. It’s since been pulled. Intel had its own accidental (on purpose?) slip, when a newly posted webpage appeared to confirm that the Core i7-6950X would hit speeds of up to 3.5GHz and have 25MB of cache. That page has since been pulled. MSI “leaked” news, too. Earlier this month, the company said its X99 motherboards were ready for Broadwell-E. MSI’s press release, however, was far more coy and used screenshots and performance numbers from a Xeon chip instead. Gigabyte also quietly added “Support 2016 Q2 coming new CPU” in a BIOS update pushed out in January. So obviously, this has been the worst-kept secret. The only real unknown is how much Intel will charge for the CPU. When the chip first popped up on the leak radar, many people assumed the price would be $1,000. Intel has basically charged a grand for its top-end processor since the days of the first quad-core “Bloomfield” Core i7-965 Extreme Edition. That price held when Intel added two more cores to the Core i7-990X. Several generations later, when Intel “gave” consumers two more cores still, for a total of eight in the Core i7-5960X, the price remained $1,000. With the 10-core Core i7-6950X, though, there are indications Intel may ramp up the price to $1,500. Again, Intel has never confirmed nor talked about the CPU on the record, but rumors of the higher price have been hot and heavy since January. Consumers are balking, not surprisingly, but Intel may have good reason for the increase. Intel’s top-end Core i7 chips have alwaysbeen repurposed Xeon chips with a few features turned off. Intel makes serious bank off of Xeons and doesn’t want to cannibalize those sales. 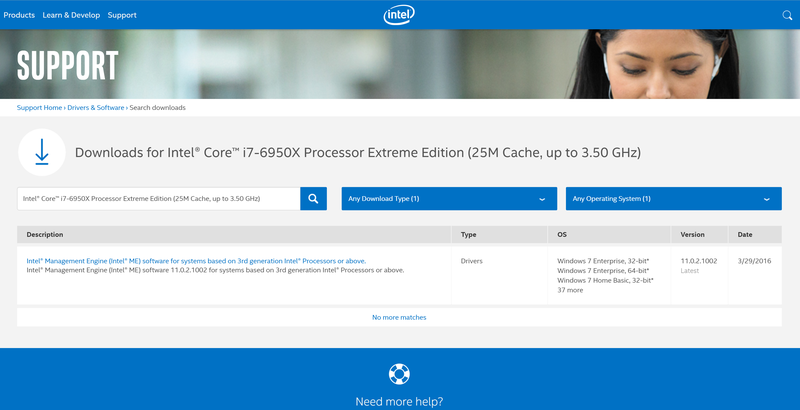 If the 10-core Xeon is coming in at a higher price, that could funnel down to the i7-6950X. The real wild card in all this is AMD’s Zen. This will be the company’s first major CPU launch in years. Redesigned from the ground up and rumored to pack from two to 32 CPU cores, Zen is also adopting an Intel-like Hyper-Threading technology. It could pose the first true competition to Intel’s high-end CPUs since the days of the Athlon FX-51. Knowing full-well that Zen is arriving later this year, does Intel price its 10-core chip to crush AMD on pricing before it arrives, or just wait and see whether Zen poses a real threat? If Zen is priced to give consumers, say, a 16-core chip at $1,000 or $1,500, does Intel then gut the price of its Core i7-6950X? Who knows. 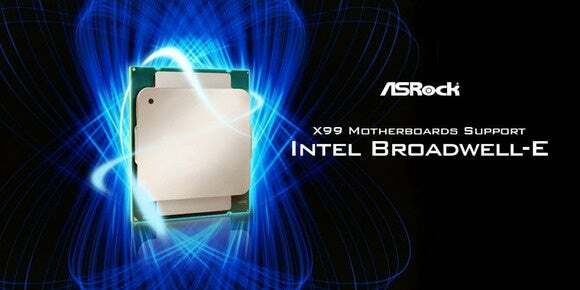 What we do know for sure today, thanks to ASRock, is that Broadwell-E will indeed have 10 cores. The chip is expected to launch at Computex in June.